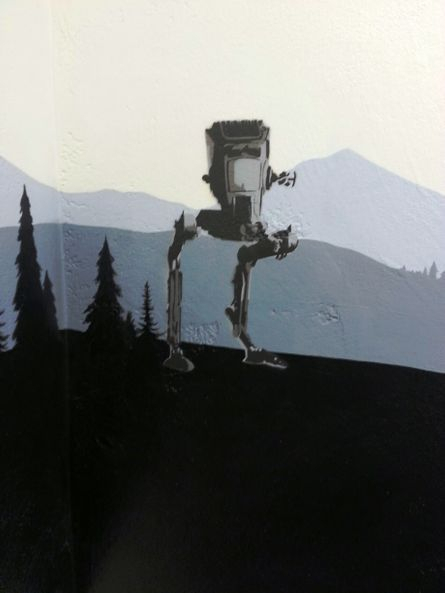 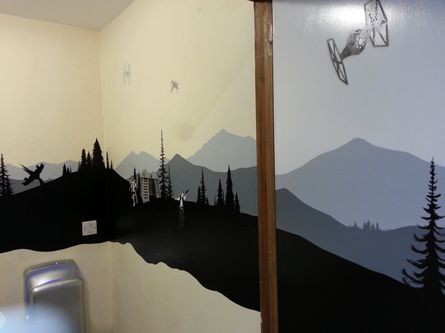 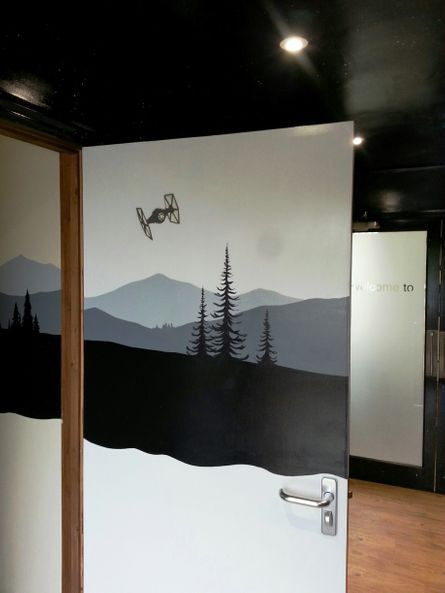 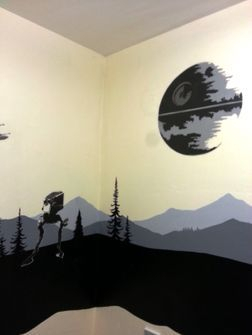 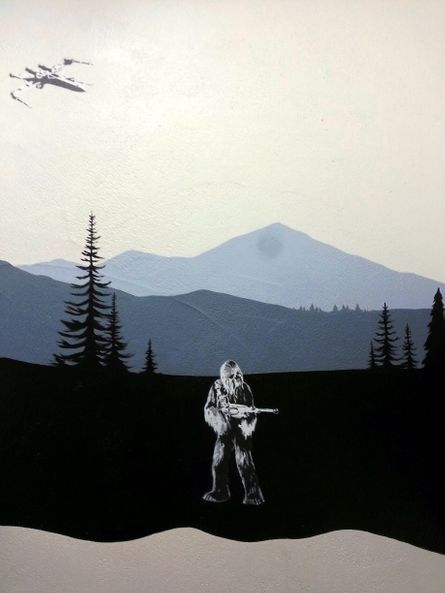 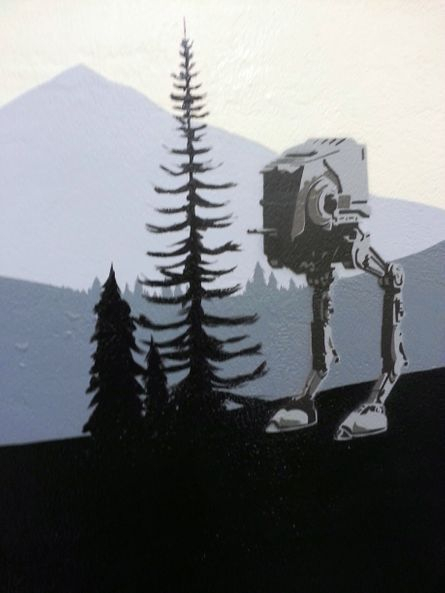 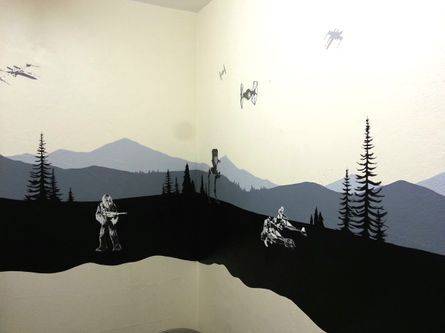 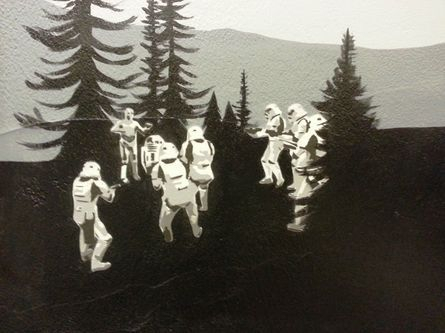 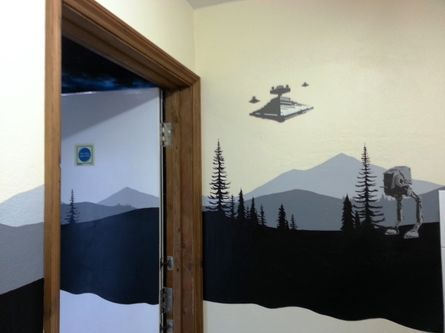 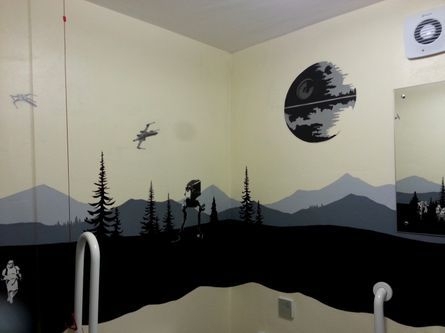 This Mural was painted at the Itineris Office in Ipswich in their bathroom and kitchen. 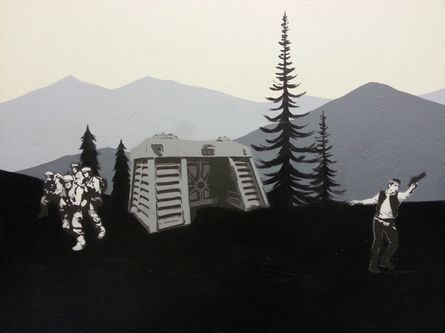 The simple monochrome background boarder was painted by hand and then stencils were made and sprayed for the characters and land/air craft. 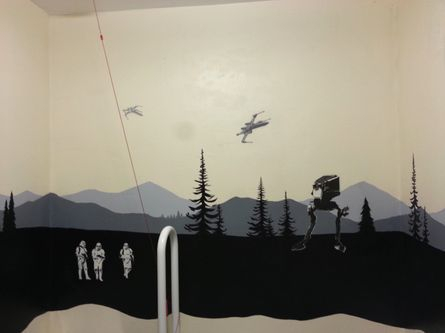 This mural took 2 weeks to complete (including all design work and stencil making).